Perfect Set for Monster Summoners and the Like! 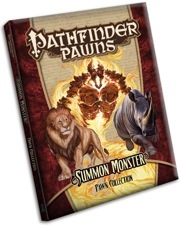 There's a full list of the creatures included here on Paizo.com. If you need creatures for your players or NPCs to summon, then this is the set that you need! This set continues the high quality pawn line with gorgeous art and sturdy construction. This is also the only set to date that features the HUGE elementals! I always enjoy reading whiny reviews on Paizo, because honestly, people just love to complain. If you don't understand the quantity involved by reading the description online or the box itself, you need comprehension lessons. If you need more creatures than those included in one set, here's a novel idea, buy more than one set! Product quality is good. Nice distinct artwork. Standing bases and creature size looks good. My issue is the quantity of creatures this pack contains. There is a max number of creatures you can summon with the summoning spells. This product does not provide enough tokens for a basic summoning on almost all creatures included. Some creatures only have 1 of a given token. So while it's a great idea, this product, in my opinion, is incomplete and thus reduces it's overall usefulness quite a bit. 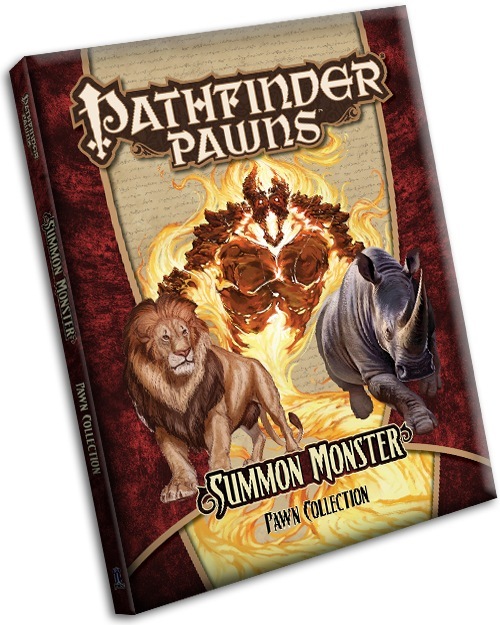 If you use Pathfinder Pawns, this is a must-have item. In fact, I'm going to buy a second one! It has a great variety of common animals and monsters, especially really important ones that have been oddly neglected in other sets, like horses and ponies. Also, the new huge elementals look frakking amazing! Seriously, I want to write them into my next adventure just to have those big beautiful bastards on the tabletop. The art is, on average, also larger and easier to see than previous sets. Great job, Paizo. I recently bought this pawn collection at a local game store and I have to say I'm quite happy with it already. I love that the art on many of the pawns is a bit different from in the bestiaries, no longer does all dogs need to look alike! Actual cheetah pawns! More variations of mephits! I remember being disappointed that the Bestiary Box only had fire mephits. I also like that huge elementals have been included as it seems I don't have any from before. But speaking of elementals, I do wish you hadn't only included the base types. Excellent! I'm looking forward to such creatures as the dolphin, octopus, orca and squid that got left out of Bestiary Box 1! This is the most useful Pawn set ever ever ever!!! Good one! I definitely see the usefulness of this product. Could have used it many times in refereeing previous games. So I'll be on the look out for this. Please, try to not give us 5 copies of specific monsters that we already have a bunch of pawns. Like succubi or babaus. Also, take note of the image sizes before publishing the final product, the most complaints i hear about the pawns are images that dont fit the pawn and has hands, weapons, limbs and other details cut out of the pawn because the image was too big. Most of the Iron Gods pawns got that issue and it was a let down in that aspect (otherwise its a great pawn collection). Few adjustments on the images would have solved the issue with a day or two of work. Any chance of throwing in the summon nature's ally pawns too? This is a particularly good idea as the typical pawn set is something only those who GM would be interested in but this would also appeal to players who want to play summoning heavy characters. Also, take note of the image sizes before publishing the final product, the most complaints i hear about the pawns are images that dont fit the pawn and has hands, weapons, limbs and other details cut out of the pawn because the image was too big. I don't mind a little bit of image "overflow". It helps make sure you can keep the pawns in the right spot if you keep them in the screw. They're not always placed numerically. I've bought every pawn box to date and most of the pawn sets and have only had a misprint issue with one sheet in the Inner Sea Pawn Box where the art was to the side and the art was literally hanging off the pawn. I am impressed by the continued quality of pawn set after set. The occasional art overlap is inevitable and necessary to keep the sizes correct. It has not been an issue at my table. Considering you have so many pawn releases, is there ever a worry that older pawn boxes will go out of print? Everything Paizo prints has the potential for going out of print. If they don't sell out early, Paizo will not reprint them. I imagine the sales figures for the Bestiary and NPC boxes are pretty healthy, but the smaller Adventure Path sets probably don't sell as much. That is a lovely cover. It is the final cover for the book itself? I suspect it is temporary. It is a piece of interior art from a module, Masks of the Living God. You're killing me here Paizo. I just can't get enough of these pawns. My players love flipping through them too. Will buy. Thanks for the reply @Vic. Though i was aware of that answer already, i was just trying to voice what people on my circles say about the pawns. That is really their ONLY complaint about my pawn collection everytime i put new pawns on the table. The iron gods set was particularly mentioned because the bleed happened on many pawns, with guns cut in half or other "cool weapons" (like the mechanic axe) not being fully shown on the pawn. Other cases were when an image, for the sake of being exactly in the middle of the pawn, had a bit of space on one side, but the other side has part of the image cut. Im not sure if being exactly in the center is that important for pawns, as i have seen monsters (and npcs too) that arent exactly aligned to the center and are still good pawns. That is less of an issue when talking about huge pawns, when there is enough space to fit all the image. If this isnt the proper place, you can remove my posts. 2) Will you create a set for Summon Nature Ally? I love pawns!!! ...not to be confused with prawns mind you. This looks extremely useful, and not just for the GM. Having two copies will not solve the real problem. How will you keep track of which summons are from the PC and which from the NPC? I use these. Although sometimes I need to put a little glue to help hold them to the pawn bases (might have been a bad batch though). I was kinda hoping paizo would produce differently coloured bases (blue, red, green for instance) though your suggestions might work too. 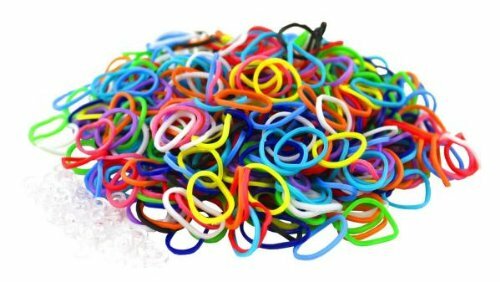 On the bright side, I find that the "loom bands" are cheap, easy to find, and work on all three bases sizes. Just stretch them over the clip that holds the pawn before placing the pawn in the base. Works great for me. Will THESE have the dinosaurs? i'm surprised some enterprising 3rd party hasn't marketed coloured bases yet - although my players just point and go 'that one' despite me using various coloured marking systems. Very cool - thx Rob! How many copies of each pawn will there be? It varies by monster, but we tried to give as many as we could of some of the "common" low-level summoned monsters, so you can get your full 1d4+1 creatures when you use a higher-level spell to summon lower-level monsters. We'll probably post a full list of what's included when we get a little closer to the release date. Updated with final product image, description and set list! Man, this looks great. Will definitely be convincing my players to pick this up... it won't be hard. They love pawns. Gargantuan monsters don't get pawns, so the T-rex gets left out. Ah! Thank you, that makes sense. A great set even with the price increase. The level 1 Riding Dog is missing from the list - is that a mistake or is it really not included? The omission of 6 out of 10 mephits is understandable as is the omission of the level 6 Brachiosaurus, Dire Croc, Dire Shark, Roc and T-Rex since they are all Gargantuan. The only omission i can not understand is the medium "Riding Dog" because it is only medium and the most used level 1 summoned monster. PS: I took measurements and 4 GARGANTUAN (4x4 squares) minis would find place on one card sheet of the size Paizo is using. That would make it possible to make a "Gargantuan Monsters" pawn set. For a price of $25 you would only have to use 4 images per sheet and could include all gargantuan monsters from the first Bestiary (i think there are 17 in it) in one set. riding dog was changed to small dog for SM1 and so not used as much as the eagles by most. As Jeff Morse said, riding dog was changed to dog with the 4th printing of the Core Rulebook. You can get the errata that updates whatver printing you have to the latest printing (6th) here. Thanks for answering that Jeff and Rob. On another note, i wish Paizo would stop changing things that were not broken as in this case. But that discussion is in another forum i think.